AUGUSTA, Maine — Two powerful moderate Republicans in the Maine Legislature are calling on Gov. 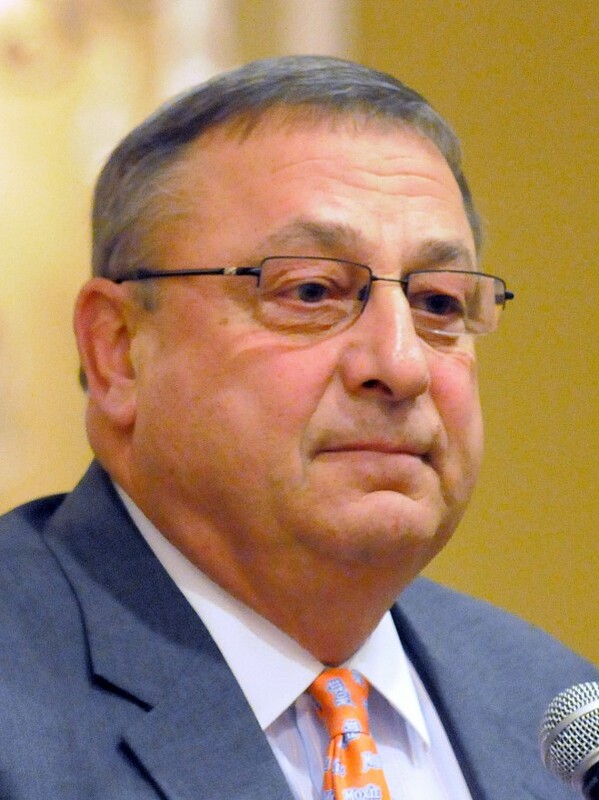 Paul LePage to apologize for comments he made last week alleging corruption by midlevel managers in state government. “For our governor to question their integrity, to essentially call them morally depraved — look it up — is demeaning and inexcusable,” Katz wrote on Monday. “I respectfully suggest that those comments are not worthy of the chief executive. To date, he has resisted calls from many of us to apologize for what he said, and we hope he will change his mind. Katz said that a large percentage of state workers live within his district and he considered many of them to be his neighbors and friends. He pointed out that some make less than they could in the private sector and stay because they believe in public service. Flood’s statement was not immediately available but his colleagues on the Appropriations Committee said its message was similar. The governor’s office did not respond to a request for comment on Monday. After LePage’s remarks drew criticism late last week, the governor did draft a letter Friday to members of the Maine State Employees Association in which he attempted to clarify his comments. But the letter did not include an apology. “When my administration came into office, we promised Maine people we would not settle for the status quo,” he wrote. “The culture of state government needed to change from ‘no’ to ‘can do!’ Many of you have taken this to heart and are doing great things for the people of Maine. The comments were the latest in a bitter battle between the LePage administration and the MSEA, the state’s largest union. A protracted fight over a new collective bargaining agreement has persisted for months and is likely to be settled through court proceedings. The MSEA was the first group to take exception to LePage’s latest comments. In addition to the MSEA, some Democrats last week called the governor’s rhetoric out of line. Sen. Dawn Hill, D-Cape Neddick, said Mainers deserve leaders who work for them, not against them. The Democratic response was predictable, but Republicans calling out their governor has been relatively rare since LePage took office. It was about one year ago that a group of eight Senate Republicans called out LePage in an OpEd that ran in several daily newspapers. That response came on the heels of a string of controversial comments made by LePage during the first part of his tenure in office. “We feel compelled to express our discomfort and dismay with the tone and spirit of some of the remarks coming from him,” the piece read. “Were this an isolated incident and not a pattern, we would bite our collective tongues, because we are all human. But, unfortunately, such is not the case. We feel we must speak out. Katz was one of the primary authors of that OpEd, but it was signed by Sens. Nichi Farnham of Bangor, Brian Langley of Ellsworth, Tom Saviello of Wilton, Chris Rector of Thomaston, Thomas Martin of Benton, Earle McCormick of West Gardiner and Roger Sherman of Houlton. LePage did soften his tone somewhat after the OpEd was published.